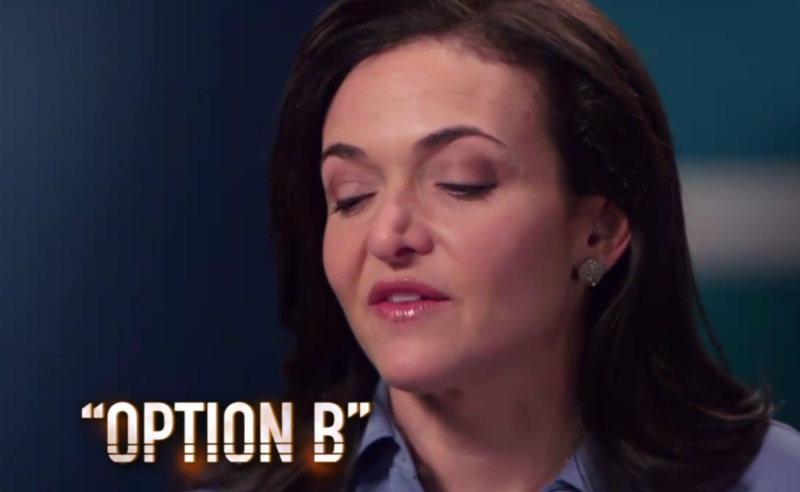 Is Northrop Grumman trying to block this Sheryl Sandberg story from the internet? I unfriended Facebook several years and after a few year hiatus ‘re-friended‘ Facebook initially so I could understand the changes as I advised clients on social media. I started my first Twitter and Instagram accounts around that same time and actively using Pinterest and LinkedIn. 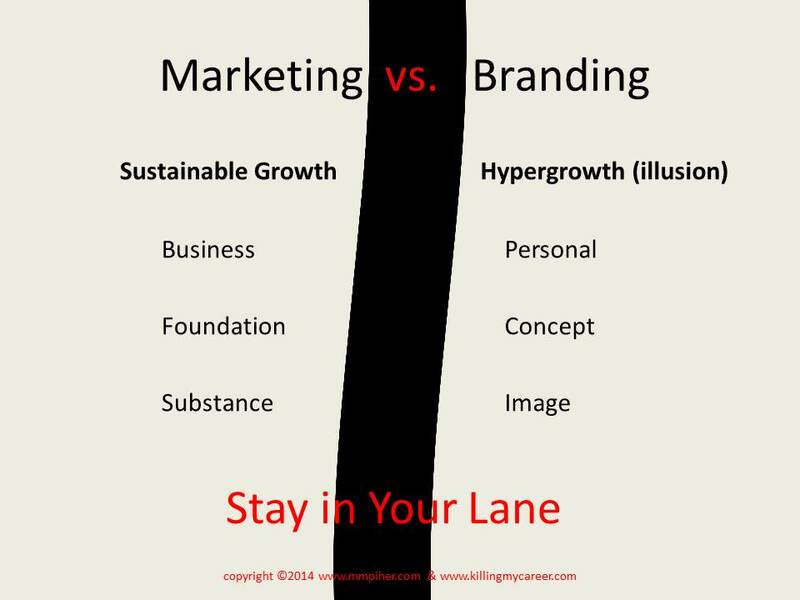 It’s important to understand these mediums to help clients target properly when rolling out and maintaining marketing campaigns; and, teaching people the vast difference between marketing (ethical) vs. branding (unethical) has been rewarding. 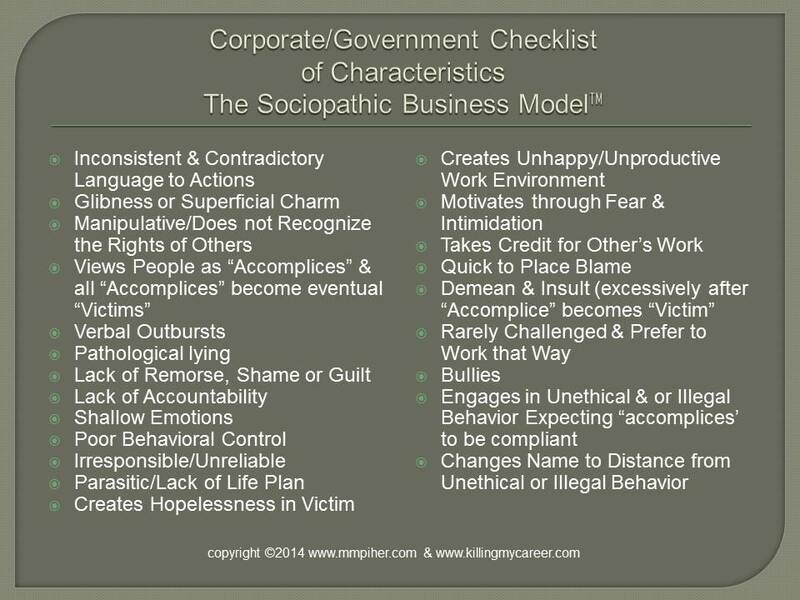 In developing The Sociopathic Business Model™ several years ago one pattern in fraud that was easy to detect (or a trigger) was when a company talked about, referred to, or only focused on their branding or image. No revenue stream and in some cases no actual product. The people and companies who follow the branding philosophy usually take the old adage “image is everything” to a dangerous unethical and or illegal length in order to try and control the negative truth they’d rather remain hidden which could hurt their image and in turn profits. This checklist has been helpful for me to see the obvious and not so obvious things a company may be hiding. Facebook is one such company that focuses on image without substance and we only need to look at the Facebook’s Failed IPO for validation of that point. The idea that Facebook’s platform exploited people’s personal data without all known implications and did a little human experiment without user knowledge which both are inconsistent and contradictory to Mark Zuckerberg’s point to President Obama painting him in a hypocritical light. The enemy of The Sociopathic Business Model™ is the truth. Facebook’s pathological unethical behavior where they don’t recognize the rights of their users is the very reason I’ve never read Sheryl Sandberg’s book Lean In. I do not want to financially support unethical companies or their executive teams. 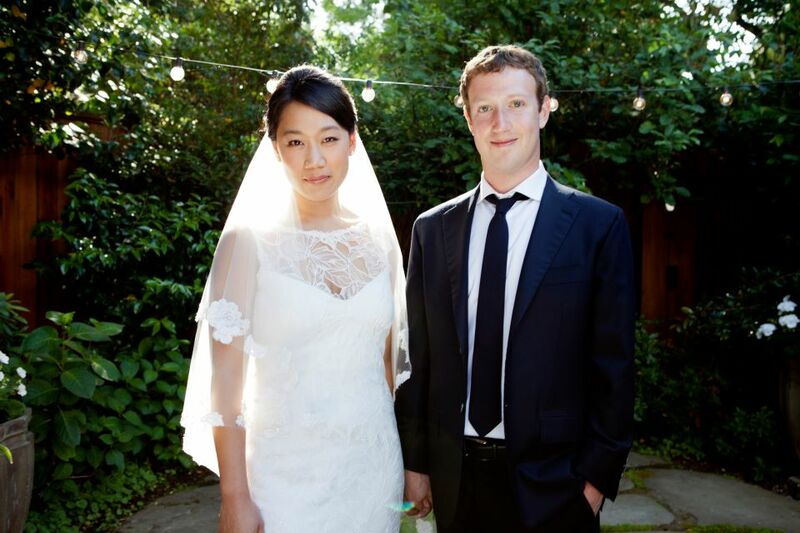 Everything Facebook does is about image: Zuckerberg donates $25 M to fight Ebola: Why Not Do It Anonymously? Politics. Today, Sheryl Sandberg updated her Facebook cover photo but not one from the recent family vacation that claimed her husband’s life she chose the same picture that went out to the press (It’s understood not putting children in the picture but not one picture of them together on their family vacation?) And who’s the first one there to offer their condolences? None other than Mark Zuckerberg’s older talentless sister Randi Zuckerberg. I’m only shocked she didn’t post a link with something she shills like her Dot.Complicated book where she claims she’s qualified to speak on tech and marketing just like Justine Musk thought she was qualified to tell people how to become a billionaire (hint she maried one) . This really does seem logical though because we know these multi-billionaires with private planes don’t have phones or email and Facebook really does seem like a good place to exploit mourn the tragic, sudden loss of a spouse who died of a freak treadmill accident in Mexico on May 1, 2015. Nope none of this is inconsistent & contradictory language to action. In December 2014 early investors of SurveyMonkey cashed out $250 million but the company is valued at $2 billion. Again, we learned last week with Secret Inc. closing its doors that what a company is valued at isn’t the same as what a company’s worth. In January this site stated that this year we’ll see a lot of CEO’s in Silicon Valley unemployed or possibly behind bars. Facebook manipulated the rights of others without, shame, remorse, guilt or lack of accountability; and, what many of us fail to recognize is when a corrupt company doesn’t provide customers with facts and lies as a means to manipulate then the company is unethically and or illegally making decisions for the customers. Now apply this information in terms of elections. And if you’re a democrat and think good Sheryl & Mark are on my team-think again Zuckerberg’s had meetings with Rand Paul and private meeting with Chris Christie at the Sun Valley Allen & Company’s annual financial meeting (whom later challenged Zuckerberg to the ALS Icebucket Challenge) where it’s clear Facebook will manipulate for the benefit of Facebook which makes this alibi picture below a little less warm and fuzzy. 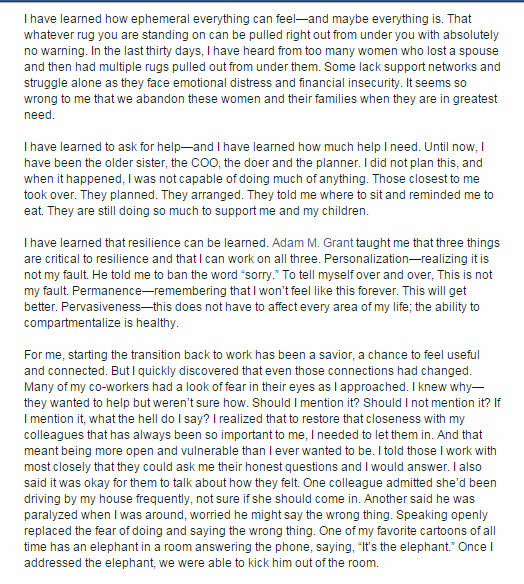 Well maybe I was wrong about Randi Zuckerberg though she certainly marketed herself right into a Facebook family tragedy as Sandberg’s post is all over the internet. Image isn’t everything but character and credibility are and something Facebook & their executives keep demonstrating they lack greatly. And just when you think Facebook can’t sink any lower they double-down with a eulogy. 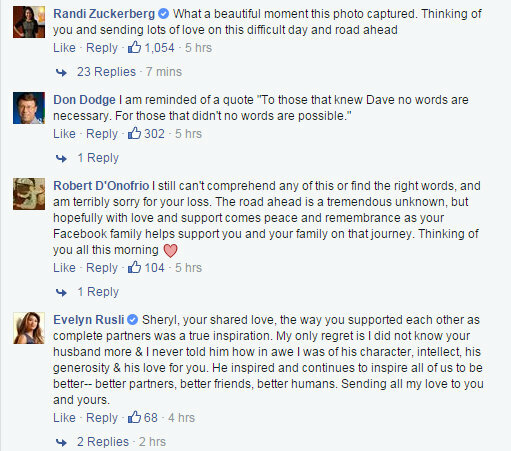 But she did at least tag her recently deceased husband Dave Goldberg. I can’t even make the status update joke but it’s not really a joke at this rate. #PRSpinUnSpun: Sandberg’s post is nothing more a manipulation meant to distract from the negative facts she’d rather remain hidden to protect her image. Mr. Goldberg deserved better than this. It’s curious that two different IPs from Google back to back (likely bots) would tag “sandberg did right.” Is Google trying to push positive Sandberg stories to the top in SEO while pushing others to the bottom in SEO? Unethical Google and Unethical Facebook certainly wouldn’t try to manipulate data would they? Here’s another theory from iSteve Blog which links drug cartel activity to the day Dave Goldberg died in Mexico. *I do not pay for Facebook ads, nor do I recommend to clients the purchasing of Facebook ads, but do use the site for fraud research. Facebook’s Sheryl Sandberg has two choices when it comes to her husband’s death: take a cue from Frozen and Let it Go (publically) or address where she was and why she wasn’t with her husand at the time of his death. No one would fault them for not being together and in fact she’d likely gain sympathy but she’ll have no credibility as the publically grieving spouse until she addresses why she wasn’t with Dave Goldberg when he died. The manipulation of facts surrounding his death and her whereabouts are part of this very public story. 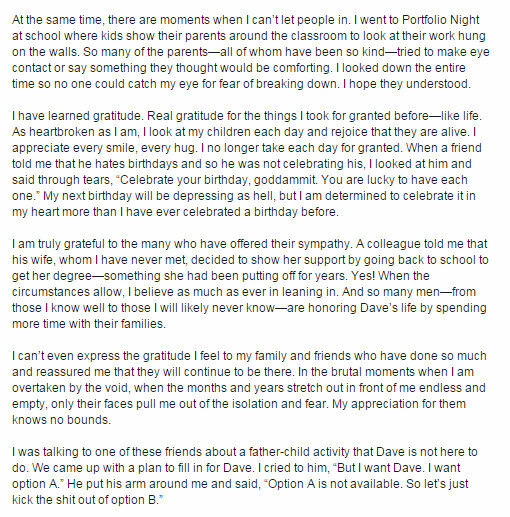 Below is Sheryl Sandberg’s Facebook #ManipulationManifesto which exploits her husband Dave Goldberg. And all this does is make me wonder what she’s trying to get out ahead of, more information on the death or another Facebook blunder. At any rate this is just another example of someone trying to use image vs. substance to manipulate negative facts they’d rather remain hidden and why I will never respect Sheryl Sandberg. Sheryl Sandberg can teach nothing to anyone because she lacks honesty and accountability without placing blame on others in her own life. Her lack of credibility as it relates to business ethics is only further demonstrated by her lack of self-awareness with this self-important unnecessary post. Really? This is the first mention of her in the ambulance yet there are no pictures of them together on this trip? It’s previously been mentioned that his brother was with him. That’s inconsistent & contradictory to every other report and to the images above that show her across and in another Country at the time of her husband’s death. And there is no end to the shameless exploitation of her late husband Dave Goldberg. Mark Zuckerberg must have scolded his big sister after her last rush to glory on a Sandberg death post because he beat her to the first comment this time (Phew! ), but so glad Randi Zuckerberg and Arianna Huffington approve of Sandberg’s exploitation of her dead husband. I’d expect nothing less from any of these ethically challenged people. People who have “narratives” have to sell a story to support their position, the rest of us have the truth. 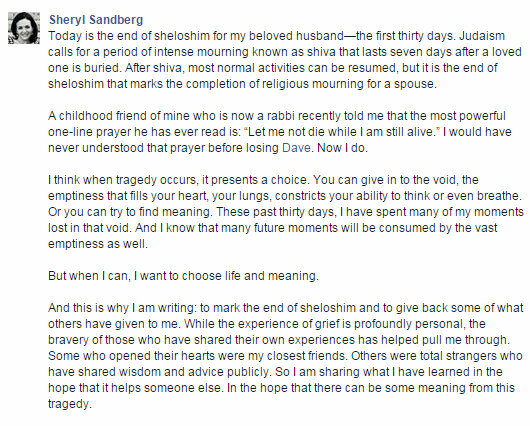 Sandberg wants to help a nation dealing with grief heal, sounds noble, but wouldn’t that narrative change, if she wasn’t there when her husband died? It certainly could harm the sale of her newly released (just in time for Mother’s & Father’s day) book Option B written in conjunction with Adam Grant. The only person Sheryl Sandberg wants to help is Sheryl Sandberg. 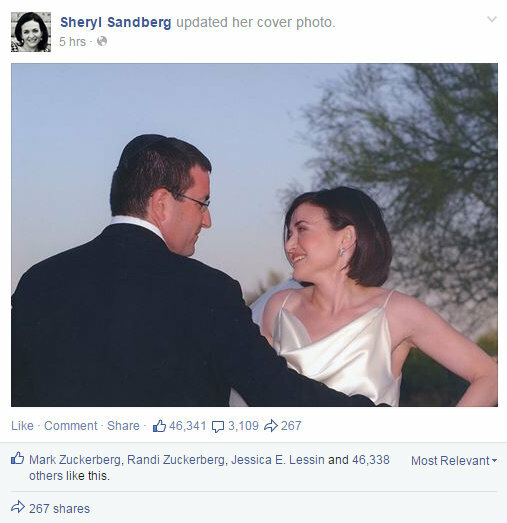 Image from Sandberg’s Facebook page May 1, 2015 the same day her husband died….in Mexico. Thanks Sheryl, but I’ll stick to Option C, the one where I’ll continue to distrust that you have an honest bone in your body. Finally someone is speaking out against this hobble woman, She is a relentless self-promotor and every man’s picture of the nightmare nag wife from hell. I’m a feminist ans proudly so, but Sheryl Sandberg (along with Arianna Huffington) always look like they are out to shill something. They will exploit anything and anyone just to get their name out and their products sold. 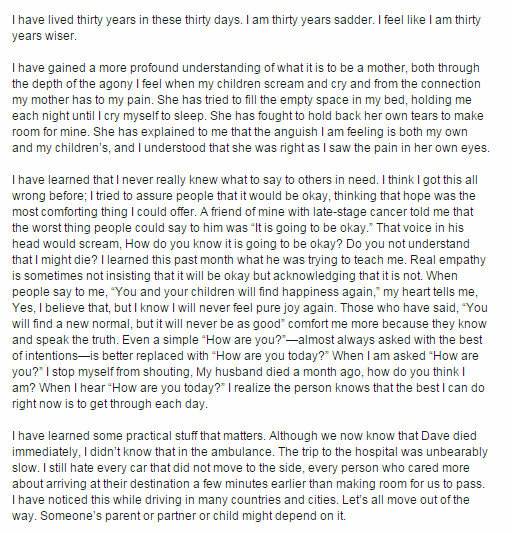 Sandberg’s grief is so over the top you have to wonder if she’s behind this death or something. If I’m wrong, forgive me God. But there’s a really distrustful vibe that comes off of her. I just hope her kids can soon find some happiness and comfort.